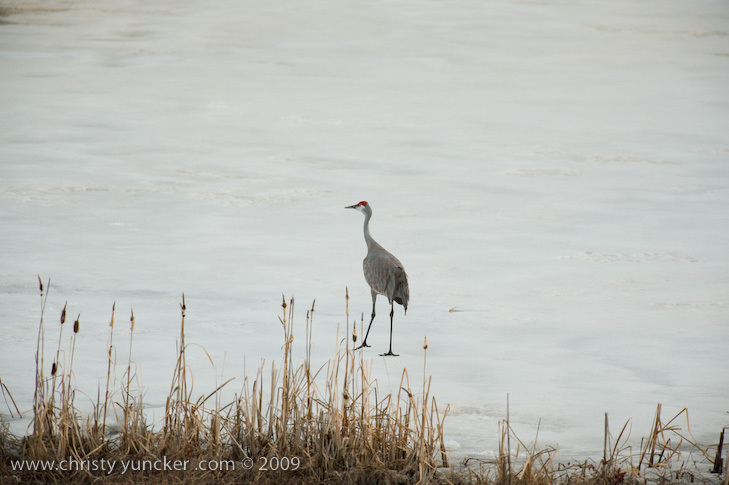 Roy walks onto frozen pond. 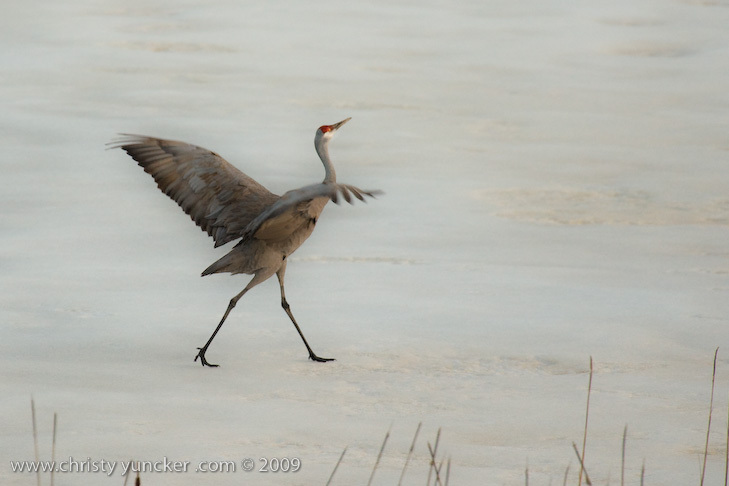 Ray walks forward in Spread-hold. 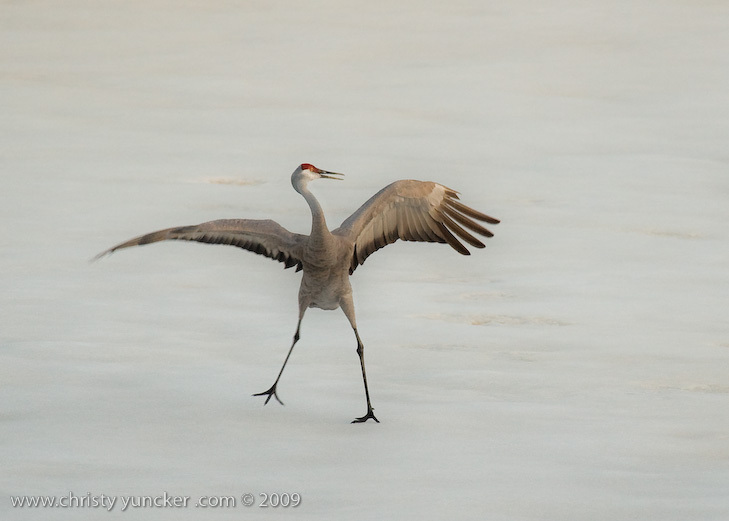 Roy runs forward in Spread-hold. 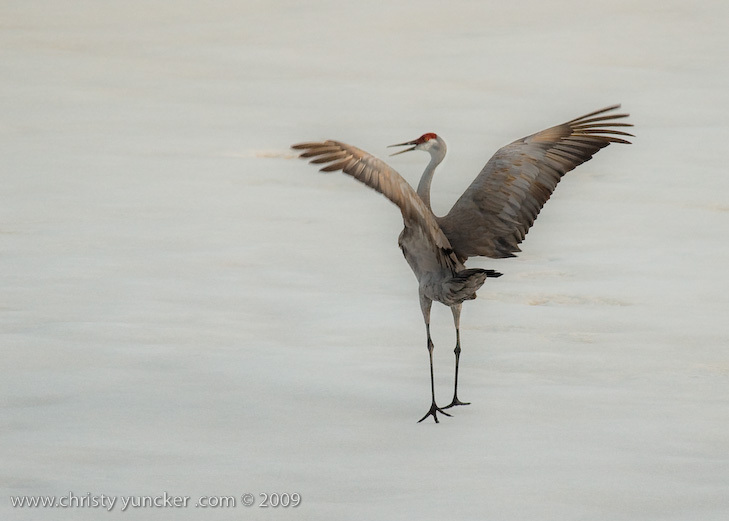 Roy jumps facing left into the turn. Millie (ruffled) struts to right. 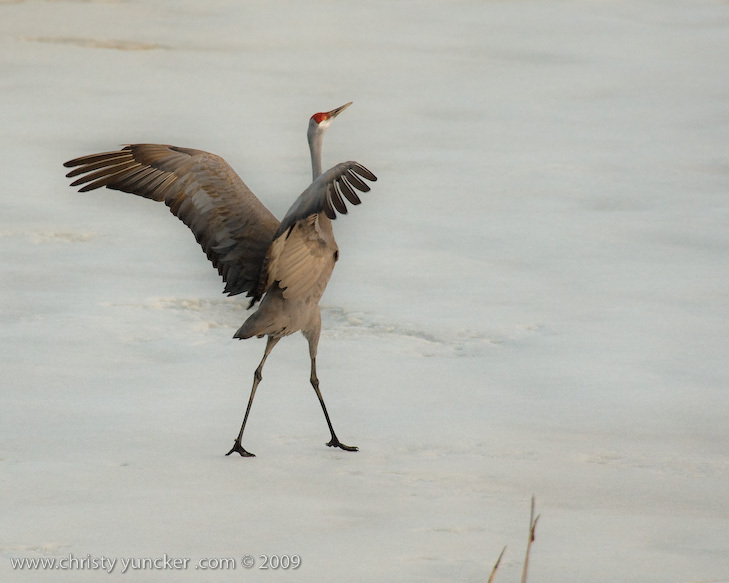 Roy pre-struts, facing left. 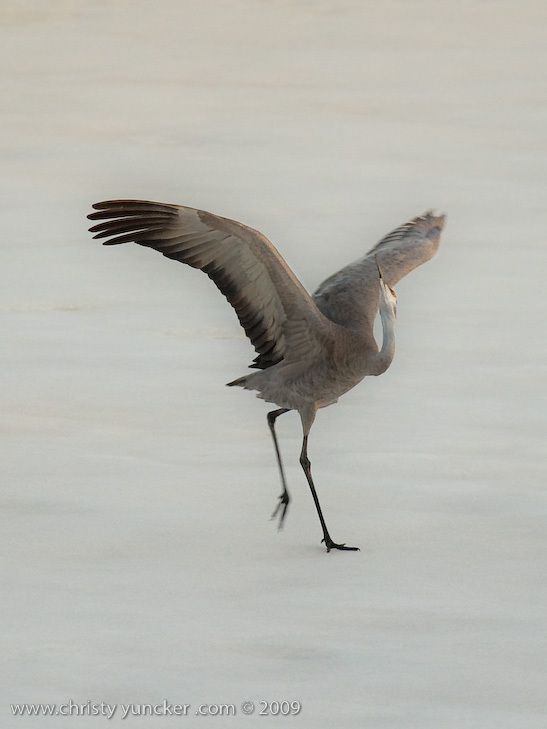 Millie dashes (run-flaps) to right. Roy Tuck-bobs with bill horizontal. 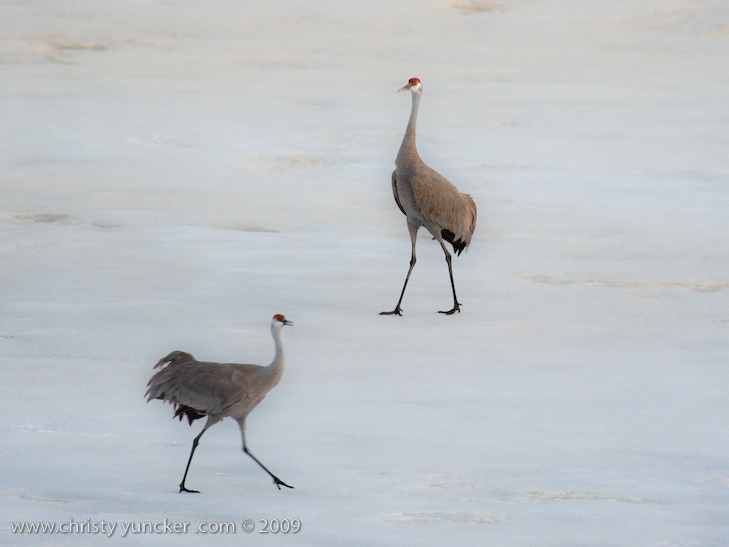 On April 29, 2009 at about 9:30 PM, Roy and Miliie returned from the migration and landed at their traditional nesting site on the cranberry bog . 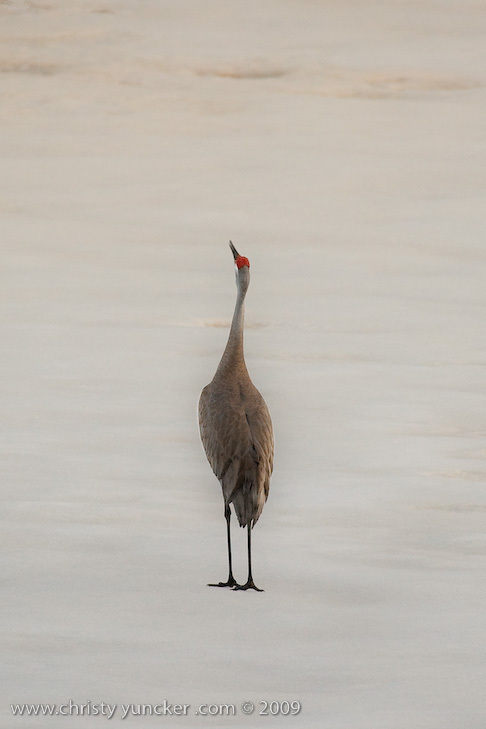 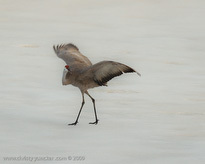 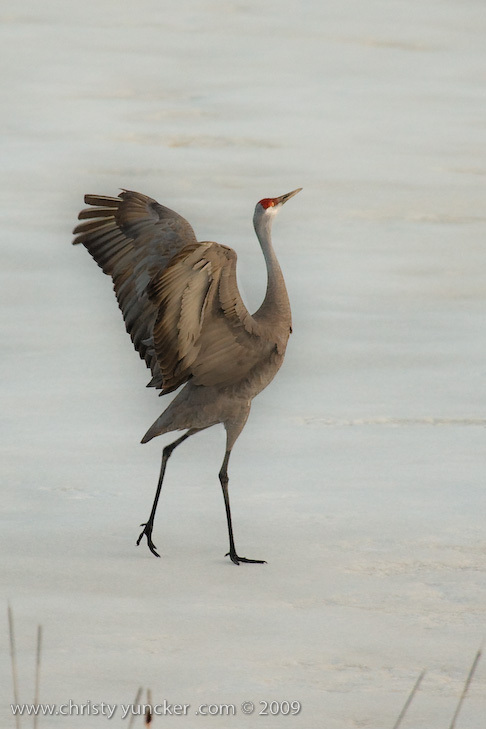 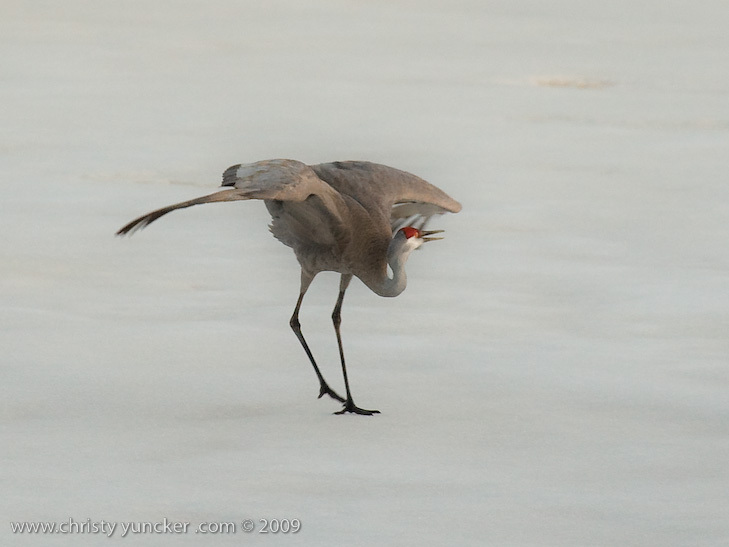 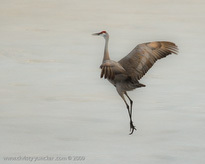 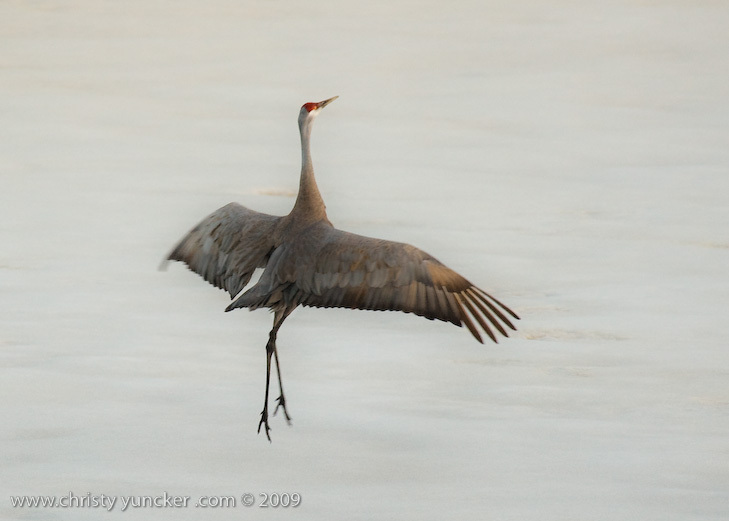 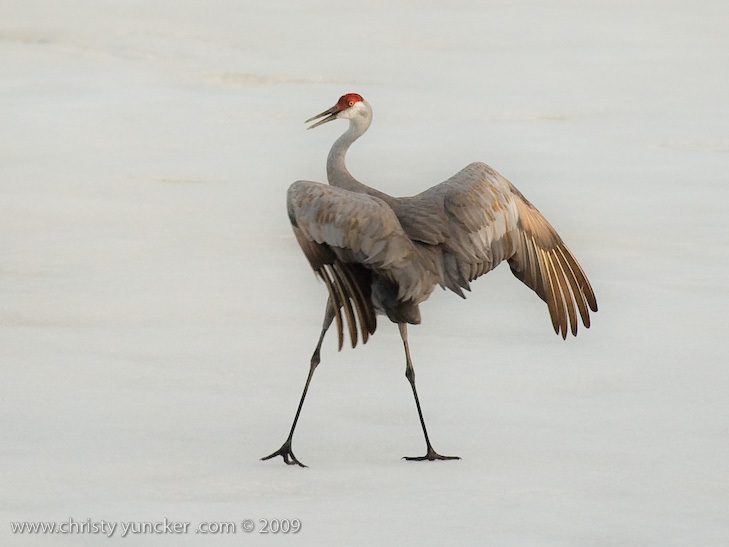 After some unison calling, Roy walked onto the frozen pond and danced. 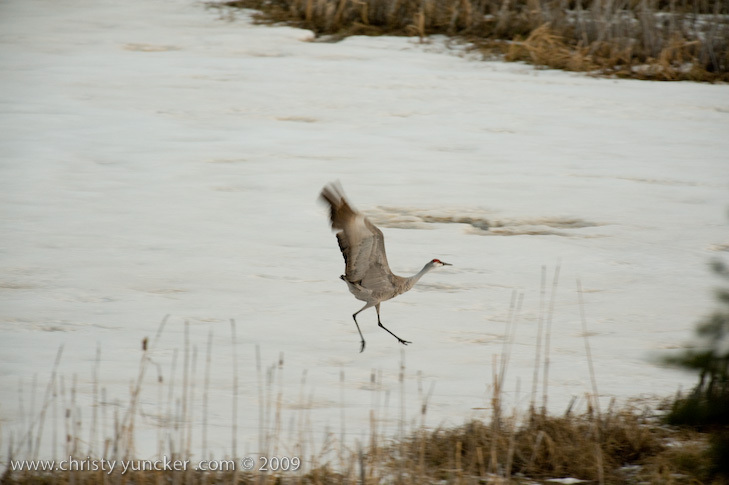 See also Alaska Sandhill Crane Blog, blogpost of June 11, 2009. The tour jete depicted here is similar to one that Roy danced with Barbaro (a colt) in August 2006 (tour jete link).